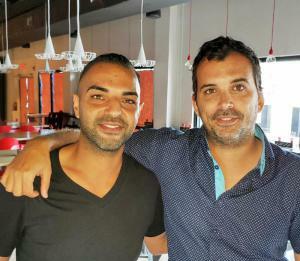 Bonfire serves fresh Italian-inspired cuisine in the Cayman Islands. 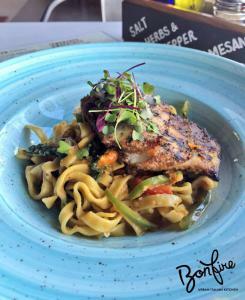 GRAND CAYMAN, CAYMAN ISLANDS, April 3, 2019 /EINPresswire.com/ -- The Grand Cayman culinary scene just got a little hotter with the introduction of Bonfire Urban Italian Kitchen on West Bay Road just a stone's throw from world-famous Seven Mile Beach. The new wave of gourmet casual Italian dining has landed on the shores of Grand Cayman. 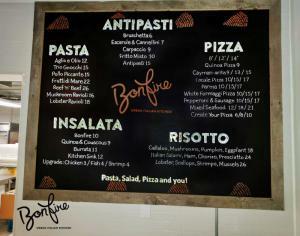 Bonfire Urban Italian Kitchen is where the food is hot and the conversation never stops. The menu features the freshest, locally-sourced bites. The newest concept to hit the Seven Mile Beach strip thrives on great vibes with even better company, offering a selection of Italian specialties that include freshly made pastas, flash-baked pizzas and fresh, crisp salads. Bonfire is open daily from 6:30 a.m. to 10 p.m.
For more information, visit www.bonfireurbankitchen.com or call 1 345 233-FIRE (3473).